A hesitant high-potential professional gets promoted to a high-paying leadership position. A young family buys a lake home to enjoy more time together. A disparate team of employees exceeds their sales quota and celebrates on an incentive trip. A first-time author writes her book and starts a speaking business. A teenager encourages his family to save money throughout the year so they can afford a trip to Disney World. What do these scenarios have in common? They were all inspired and motivated by a vision board. A vision board is a powerful tool that will give you the clarity and confidence you need to achieve the goals you crave. 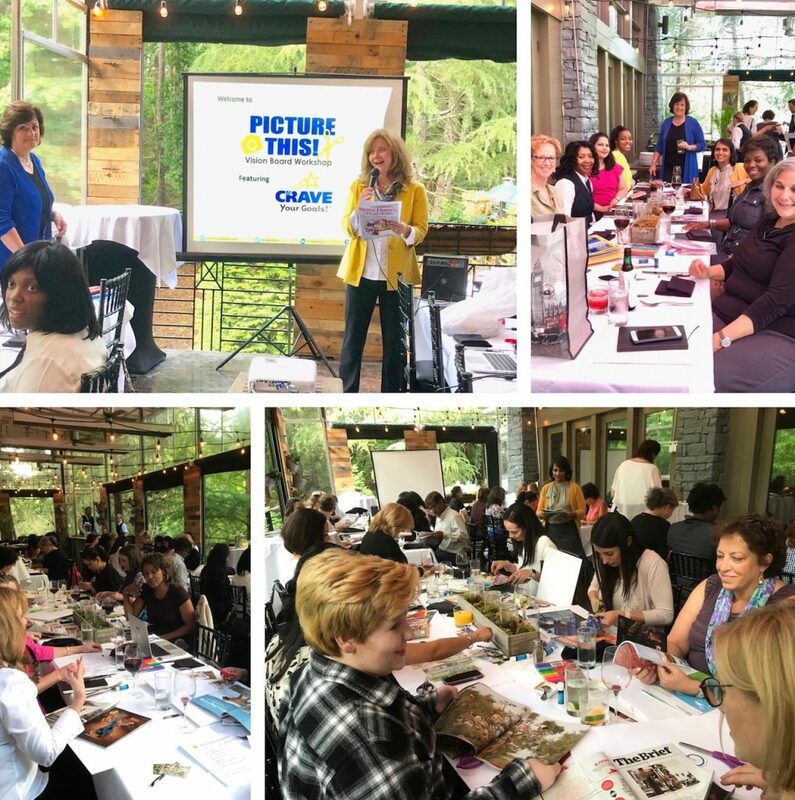 Each time I have the privilege and pleasure of being a vision board workshop facilitator for organizations like Verizon, Kellogg and the CDC, I learn something new. Last week, I presented my “PIcture This!” Vision Board Workshop for EY employees. Here are some insights. If Not for You, Then for Them. Sometimes we may be hesitant to claim our bodacious, big dream goals. I hear participants say, “What will others say or think about me?” The truth is, when you have the courage to pursue those stretch goals, you are giving others–from your colleagues to your children–permission to do the same. Make Room for Your Second Act. One workshop participant shared her new vision board during our “show and tell” segment and surprised us all when she flipped it over to display what she planned to do years from now when she retired. “I will start a foundation to feed the hungry,” she said with conviction. The back of your board is the perfect place to put your future intentions. Creating a Vision Board is like a Personality Assessment. There are very few rules on how to construct your vision board. Some people prefer to use only pictures while others resonate with a collage of words and motivational quotes. Some create boards for each goal or one for their personal lives and another for their professional aspirations. Some like to segment their boards into sections for work, family, fun and health to ensure a balanced reflection of their lives. When I am asked, “Is this okay?” I simply reply, “How does it feel to you?” If it feels right, then it will inspire you to manifest the life you desire and deserve. Here’s why vision boards work. Is your team ready for a vision board workshop? Contact me to learn more!